Botox, once the “darling” of the celebrity crowd has moved front and center into the business world where daring men and women go to great lengths to disguise frown lines, age lines and anything resembling Mother Nature’s wicked march across their faces. Why? They know their jobs require them to look fresh and healthy; old, deeply lined, tired, faces are becoming passe because ideas coming from someone wearing an out of shape, soft, sagging face can equate to old, stale ideas in the business arena. Botox, once used primarily by women is now used by more and more men as they, too, realize the importance of maintaining a more youthful appearance. Their jobs may just depend on it. Wait! Develop fresh wrinkles??? Dr. David Becker, professor of dermatology, Cornell Medical College, issued a caution linking Botox injections to development of new wrinkles when users recreate facial expressions. The paralyzed muscles cannot respond so nearby muscles are automatically summoned. The result? New wrinkles. Oh dear. And what if you are wearing a “severe/angry facial expression” that after botox develops into a frozen, smooth, plastic look? Does that work to your advantage? Perhaps. Your facial expressions are who you are; take those away and you just may resemble a Stepford wife; however, there are those users who swear that having a subdued expression has helped them with intense negotiations and other business related circumstances, calling the poker faced look a “competitive edge”. 1) Botox can result in the development of fine lines and wrinkles in other areas of the face. 2) Botox requires more painful injections to maintain results. 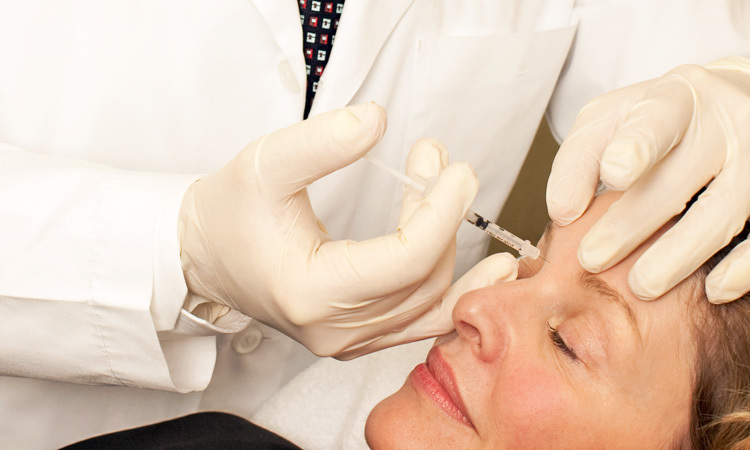 3) Botox is costly; treatments range from $200-$600. 4) Botox can result in undesirable side effects including allergic reactions, difficulty breathing, unusual muscle weakness, chest pain, headaches and dizziness. What if you could avoid needles and scalpels and look younger? What if you could be in charge of the aging process and look healthier? What if you could manipulate and retrain your facial muscles to look and act younger without resorting to expensive, barbaric measures that are risky and dangerous? Well, you can! Muscles in the face can be retrained when they are exercised. Your forehead muscle can tighten, crows feet can diminish and your face can look firm and healthy without any risk from costly injections or fillers. If you think about it, facial exercise makes sense medically. After all, when you exercise your body, you’re going to tone and tighten the muscles in your body. So why not apply the same principles to your face? If you continue to exercise your face, you will look substantially younger indefinitely. How Botox Equates to Stepford Wives Reviewed by FashionPole on October 21, 2016 . Brazilian Waxing: Brilliant Or Barbaric?